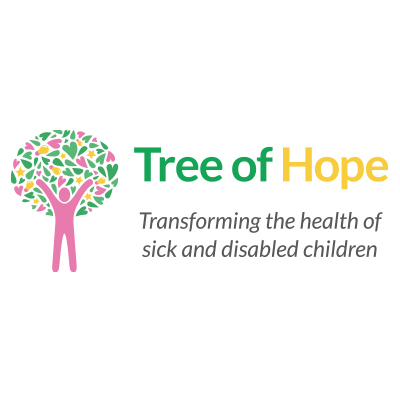 How can Tree of Hope help you and your child? Whilst there is no single ‘cure’ or treatment for acquired brain injury, there are opportunities for children to regain some of the skills they have lost, using different types of therapies and support. Physiotherapy, occupational therapy, speech and language therapy, psychology and other approaches may have a part to play. This ongoing process is called ‘rehabilitation’. There may also be home adaptations, specialist pieces of equipment and more that can help a child to develop and make their day-to-day life easier and more independent. Not all of these therapies, treatment and pieces of equipment are available to children via the UK healthcare system. Tree of Hope can support you and your family to raise funds for your child’s medical needs. We’ll support you with your fundraising campaign from start to finish. Contact Georgie in our Family Support Team on 01892 535525. Acquired brain injury (ABI) in children can be caused by a number of things. It can come as a result of an illness such as meningitis, a stroke, brain tumour or encephalitis. The brain is the most sophisticated part of our bodies, therefore any injury can be equally complex. Unlike other surface injuries such as broken bones, a brain injury doesn’t heal the same and is often something that is with the child for life. It has an impact on everything you think, feel or even do. What are the effects of ABI? Physical effects can include constant tiredness and fatigue, plus doing things at a much slower pace than maybe usual. Emotional effects can include sadness, fear anxiety and depression and obsessiveness. Behavioural effects can include immaturity, aggression both physical and verbal, sexually inappropriate behaviour and acting quickly without thinking about consequence. Thinking effects can include difficulty concentrating, taking longer to process information, forgetfulness, and an inability to follow verbal instructions.